World map. North is at top. 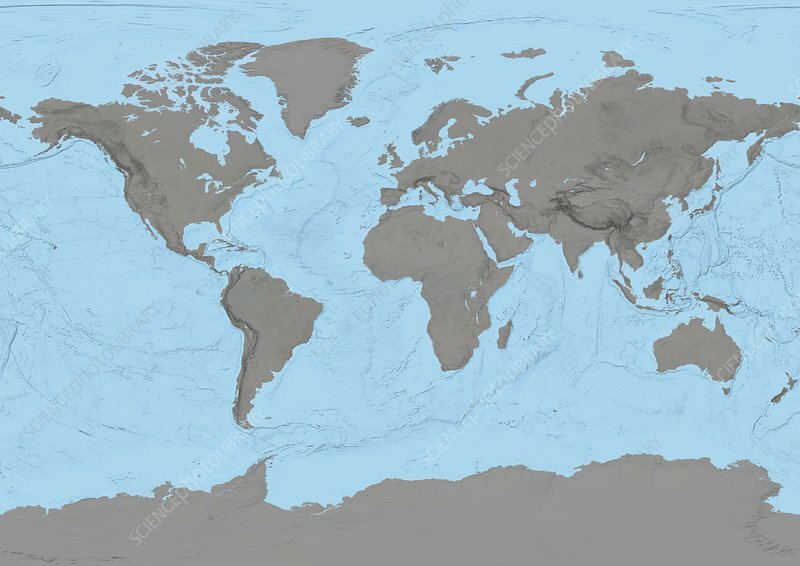 Map of the World compiled using elevation data, combined with ocean shaded relief. Imaged in 2012.